We have THOUSANDS of items in our store in San Antonio. 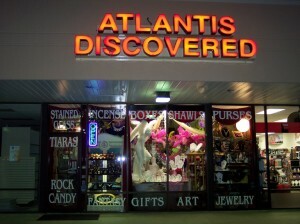 Come in and explore the wonders and secrets of Atlantis! Most of our stock changes so often, that it’s impossible to take all the pictures, gather the description information, pricing, etc, and get it on the website before it’s sold! So, generally, we only put items that we can get over and over. Much of our stock is ONE OF A KIND! (or a couple of a kind). Already referred one person. Please put me on your email distro list.